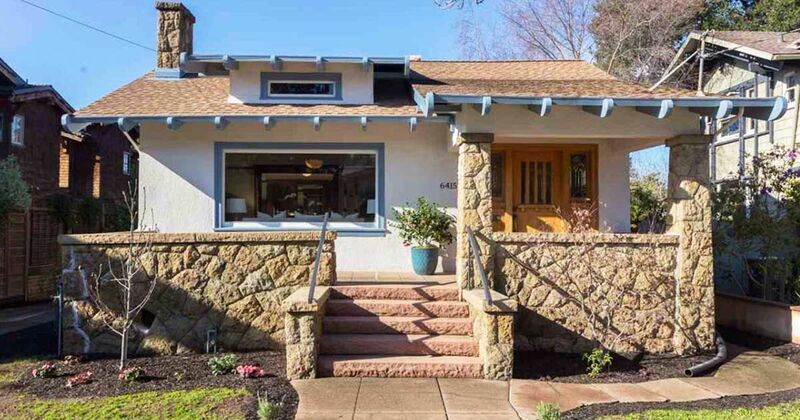 Originally built in 1916, this beautiful California Craftsman home listed on Redfin has a recently updated kitchen and bathroom. 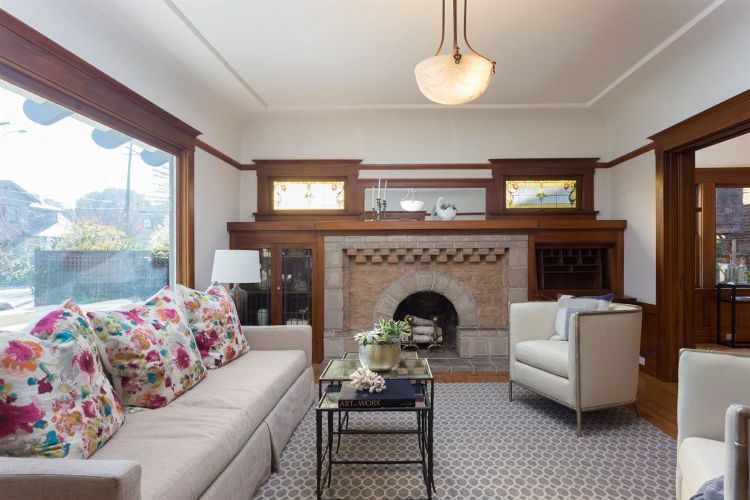 However, it still retains many of its delightful original features, including leaded glass windows and built-ins! 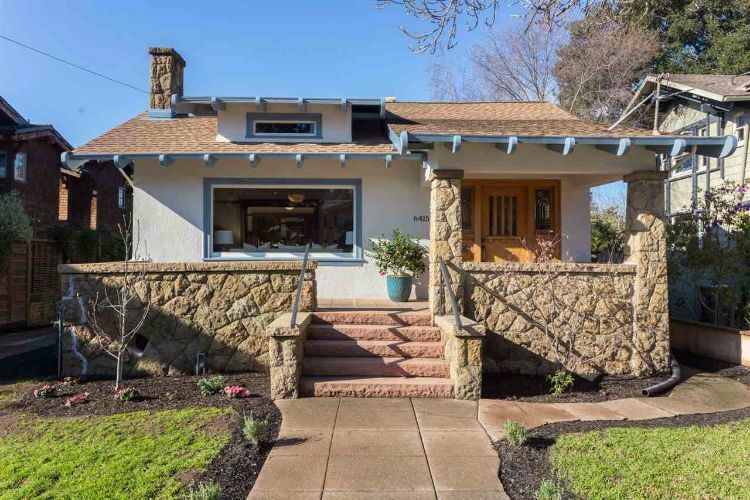 The home looks deceptively small from the outside, but it has plenty of appealing features like a stone chimney, a dormer window and exposed rafters under the roof. A large stone porch welcomes you into the home. 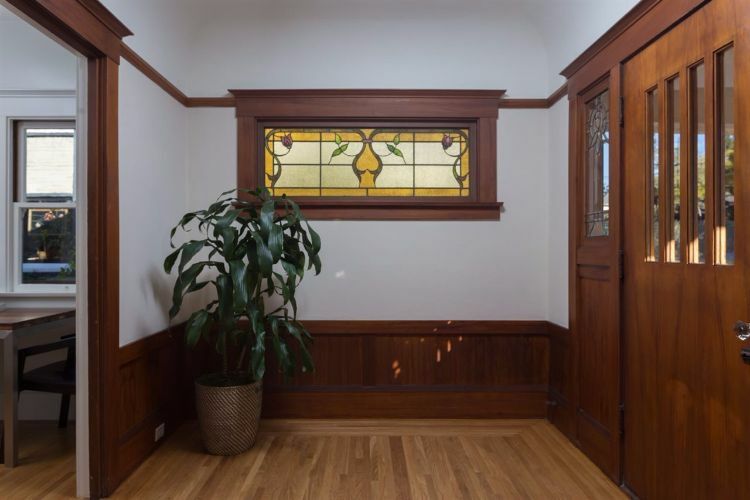 The partially paned front door opens into this entryway, which boasts hardwood floors, cozy wood paneling and a beautiful leaded glass window on the wall. 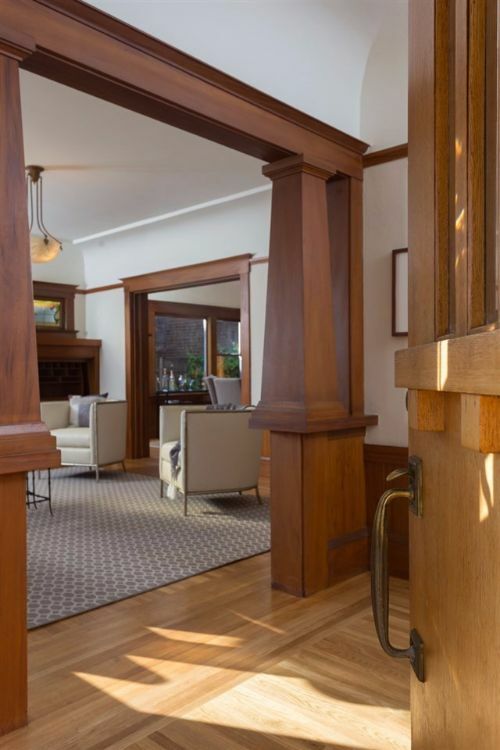 The entrance to the living room is flanked on either side by these tapered wood columns, which are an excellent display of craftsmanship! From this angle, the coved ceilings in the living room are visible. The centerpiece of the living room is a large stone fireplace, which is surrounded by original wood built-ins. A large window on the left lets in plenty of natural light, and two more leaded windows sit above the mantel. The recently remodeled kitchen has brand-new stainless steel appliances and plenty of counter space. 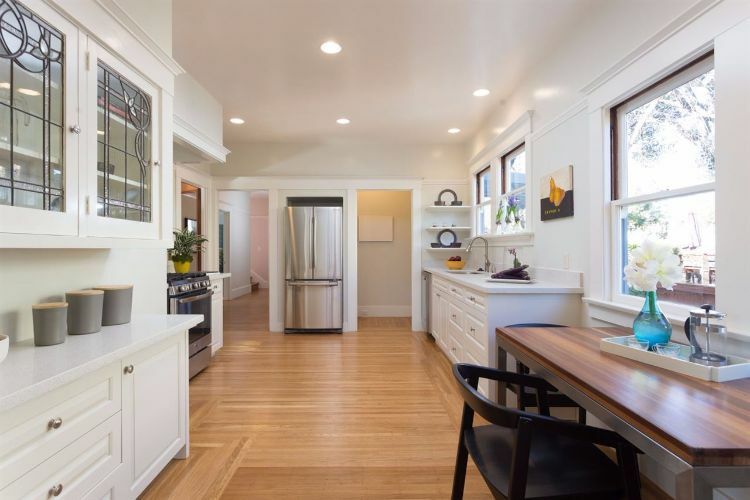 The space is slightly narrow, but the white cabinets and walls keep it from feeling cramped. 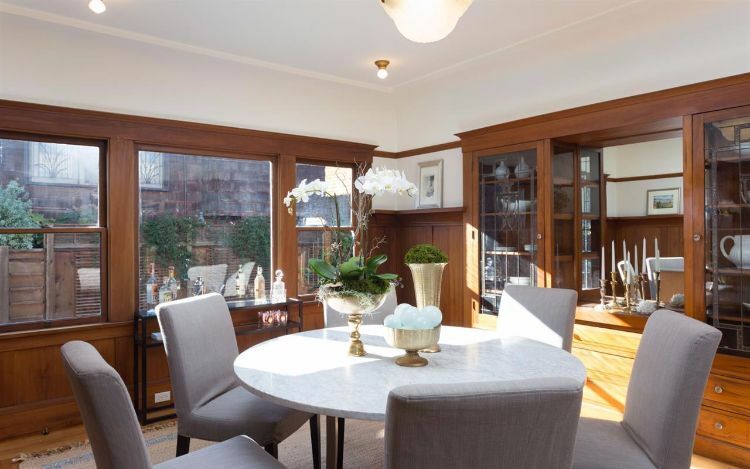 The dining room is home to a large built-in china cabinet as well as a circular dining table. Unpainted wood wainscoting gives the room a warm, cozy feel, and large windows overlook the backyard. 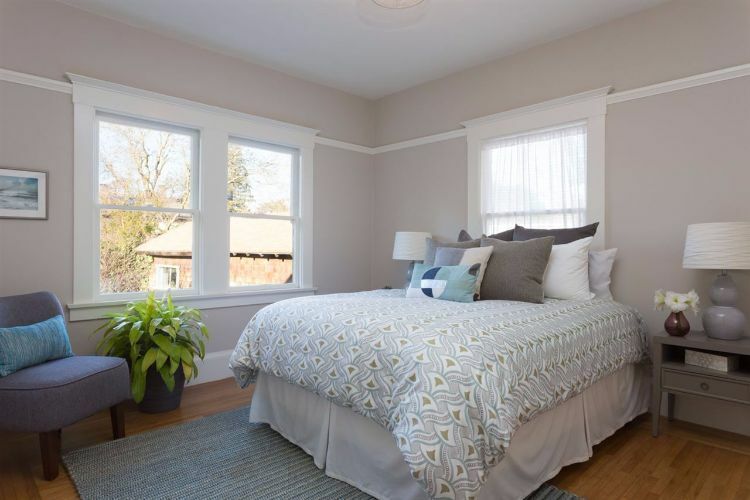 The sunny master bedroom has plenty of windows and a soothing, neutral color scheme. White trim surrounds the windows and runs around the top part of the wall. 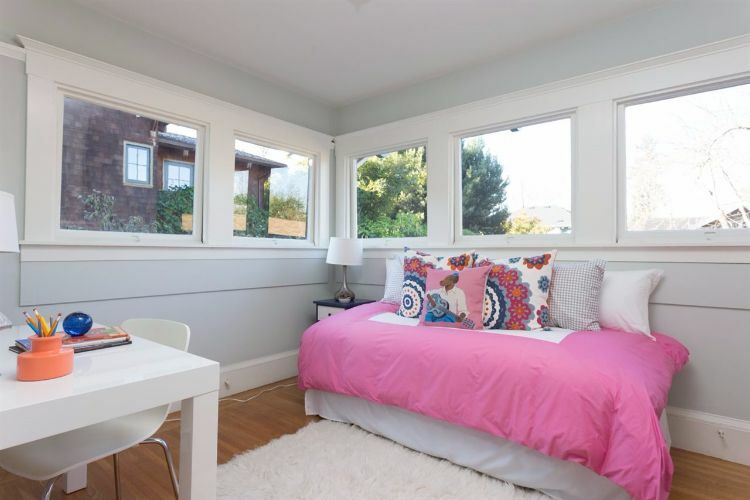 This bedroom is very different in character from the first, but it's just as cheery. Sunroom-style windows run along two of the walls, and hardwood floors ensure that the room doesn't feel too washed out. 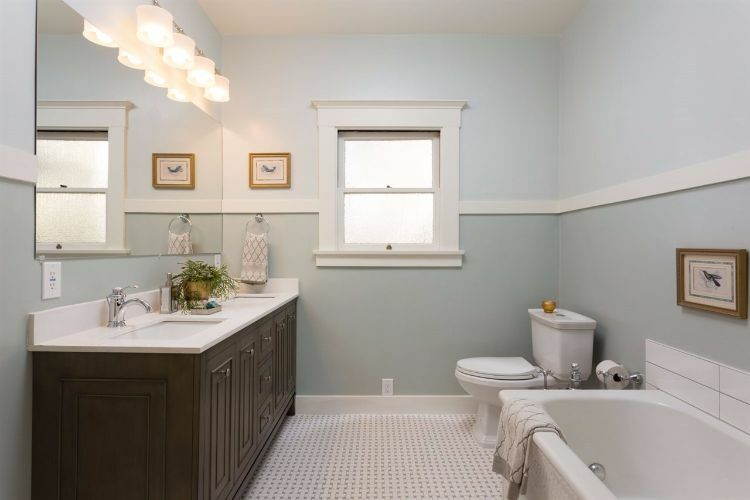 The bathroom is done in a soothing pale blue color scheme with white trim and a brand-new tiled floor. The vanity has two sinks and quartz countertops, and it sits underneath a large mirror that makes the room feel open and spacious. 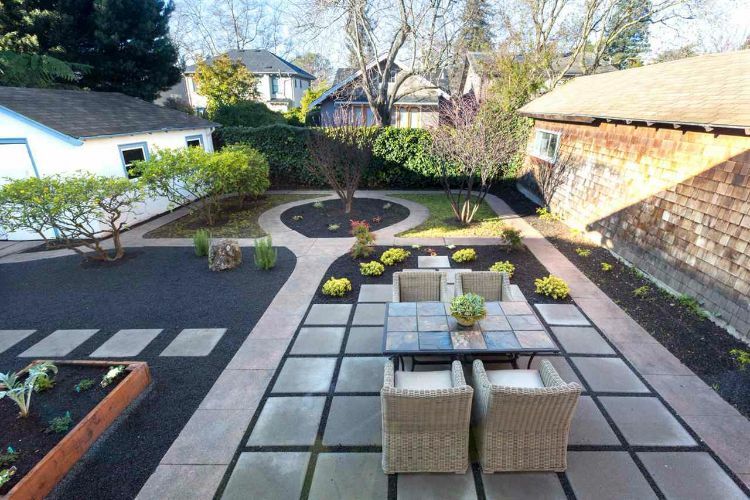 The backyard is beautifully landscaped, including a raised vegetable bed, several fruit trees and a series of charming pathways. The large tiled patio has plenty of space for a picnic table with wicker chairs. What was your favorite part of this lovely home? Let us know in the comments on Facebook, and be sure to share this article with your friends if you loved it!